You can see the comic strip at hipsterhitler.com, but please know that the book contains a great deal more than can be seen online, including Hitler’s own Moleskine notebook drawings and pages about yet another troubled leader, Broseph Stalin. View more about the book HERE! 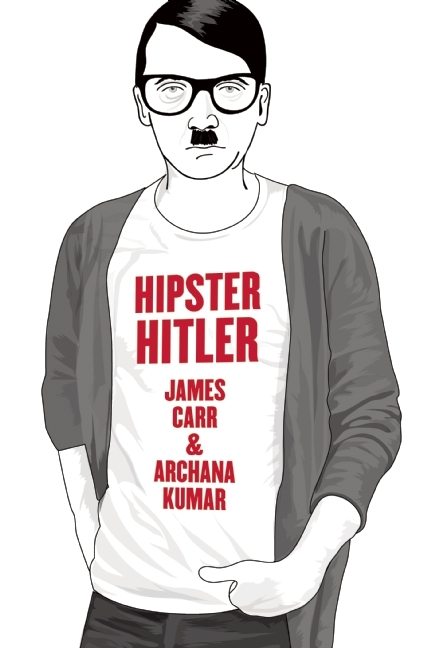 Feral House now also offers American Apparel-quality Hipster Hitler t-shirts for men and women in all sizes. What does it say? THREE REICHS AND YOU’RE OUT! Buy it HERE. Mark Edward, author of Psychic Blues was on Coast to Coast last night discussing how psychic scams are perpetrated on the public at large. He reveals the techniques of cold reading, muscle reading, and the scattershot, all used to glean “psychic” information from a client. You can listen to the show on Coast to Coast’s site HERE.